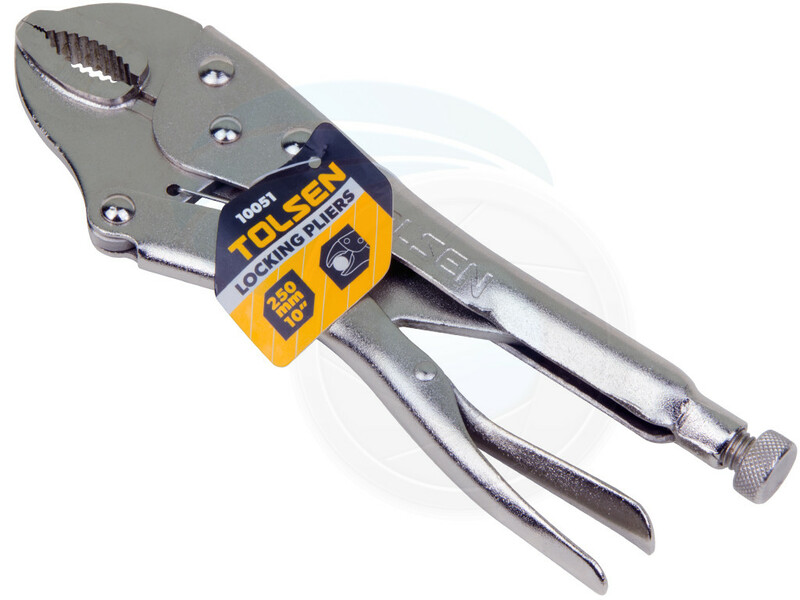 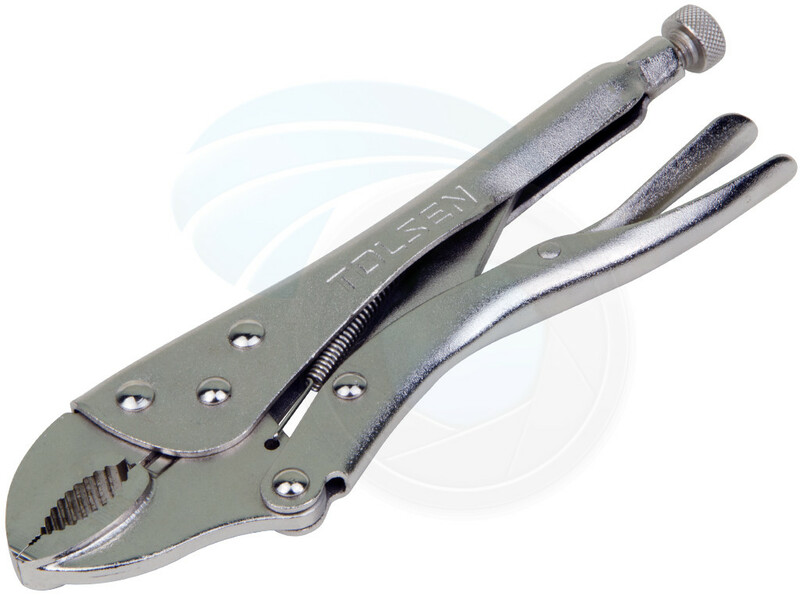 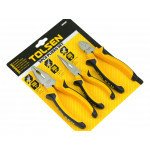 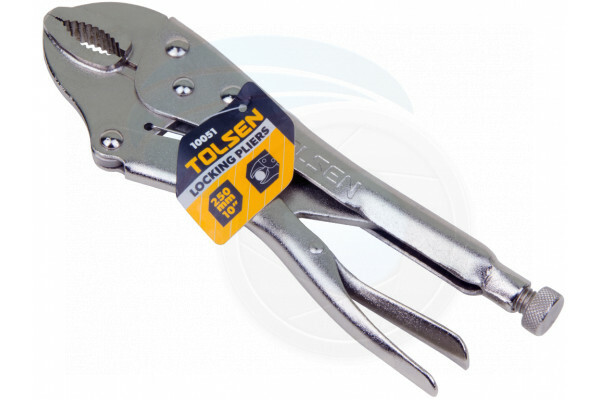 Tolsen pliers are constructed from hardened forged steel and are nickel plated to provide long-lasting durability and protection from corrosion. 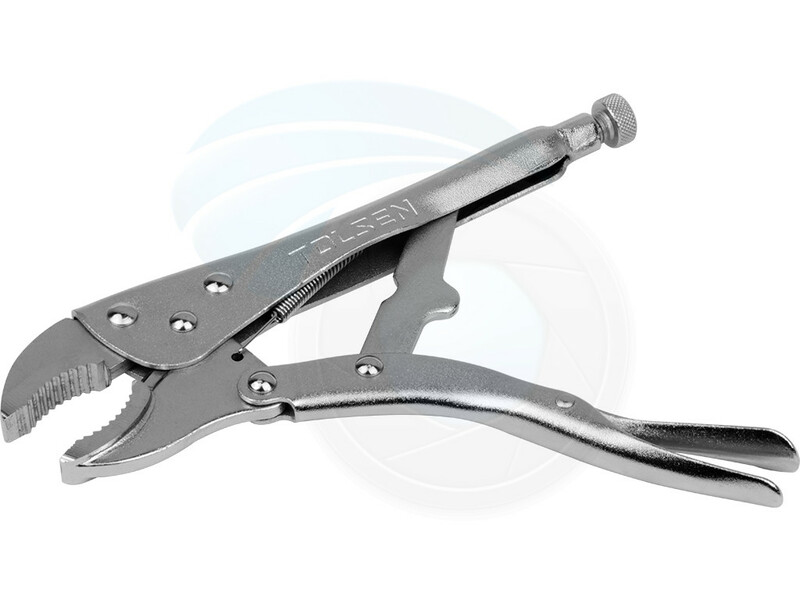 One side of the handle includes a bolt that is used to adjust the spacing of the jaws. 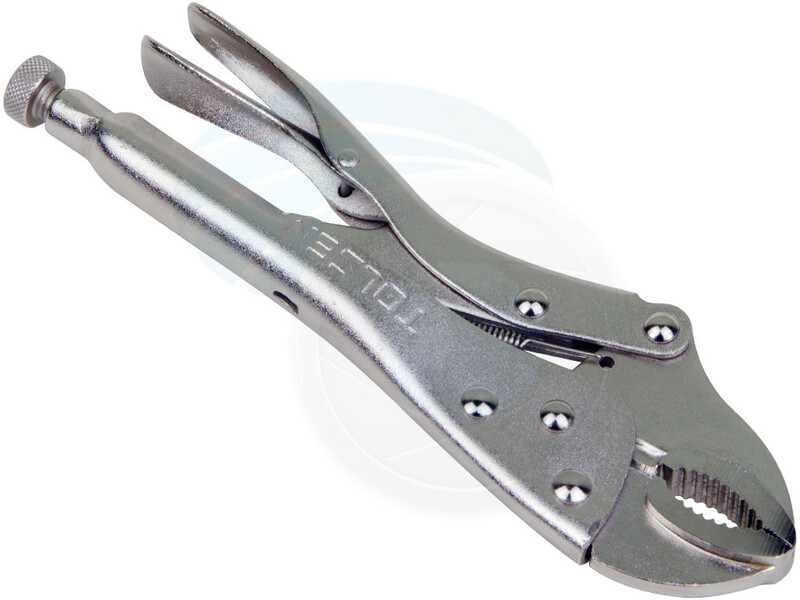 The other side of the handle includes a lever to push the two sides of the handles apart to unlock the pliers. 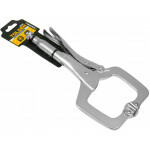 The jaws are set to a size slightly smaller than what is to be gripped by turning the bolt in one handle with the jaws closed. 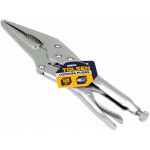 Can also lock materials onto the jaws and be used as a holder for the work material that shouldn’t be touched. 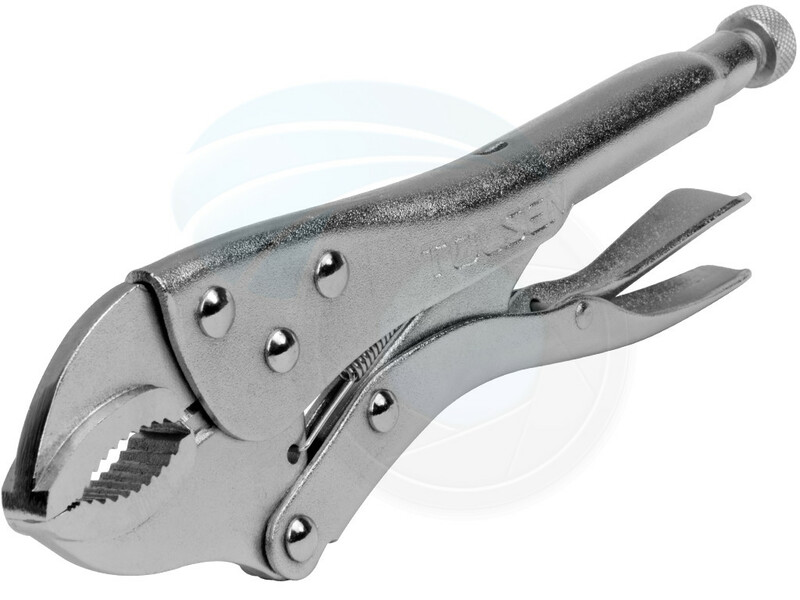 These Mole grips/locking pliers have curved or rounded jaws and are used to securely grip and hold rounded objects like pipes, as well as nuts and bolts. 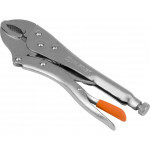 Curved Mole grips can also hold hexagonal objects, although there are parrot nose Mole grips/locking pliers which are specifically designed for this purpose. 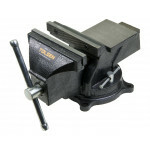 Tolsen 10105 work bench vice 6" with swivel base and anvil.Features:Swivel base with anvilHardened a..